Ark / Product marketing / Guide and Results of Testing Images with Facebook’s Dynamic Creative! As we gained a lot of experience with Facebook ads while we were working for our clients, we wanted to use this knowledge for our agency. When you start to work on your campaign, there is a lot of details on which you need pay attention, but in our case study we want to test the performance of one ad with the same copy (description), text, title and call to action. We will test the amount of content on an image which means that we have one photo in three variants. On the first image we didn’t add any text to the image, on the second one we added one sentence, and on the last one we added text on more than 20% of the image. I mention this 20% because that is a popular Facebook 20% text rule. 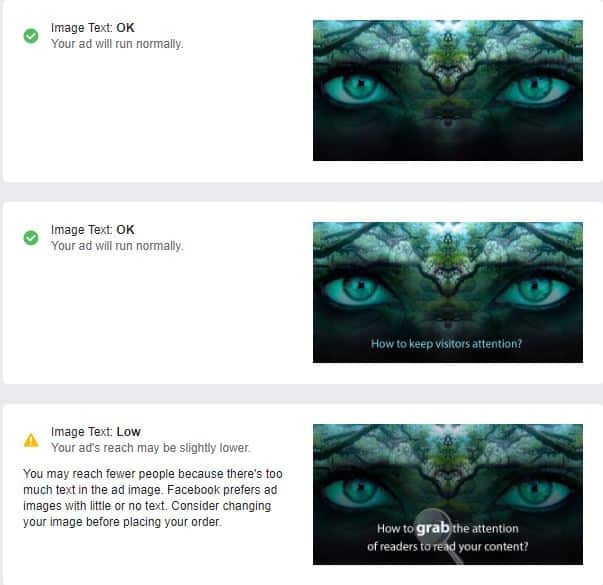 Until 2016 Facebook advertisers were allowed to cover only 20% of an image with text, so if your text covered more than 20% of an image your ad wouldn’t run because Facebook would reject it. 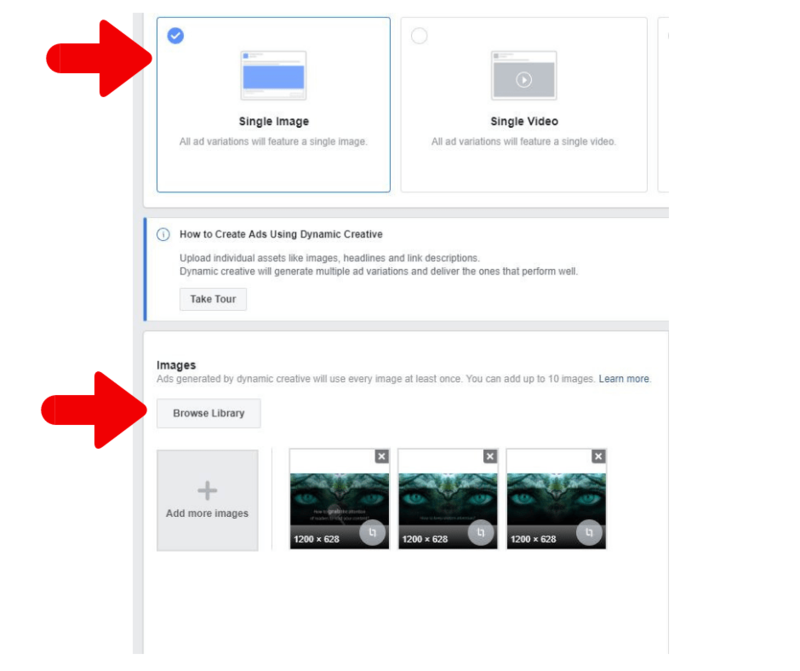 With new Facebook 20% text rule advertisers have more freedom (I will come back to this later in the article) with text on images, and your image gets text ratings from Facebook. You can check image ratings on this link. 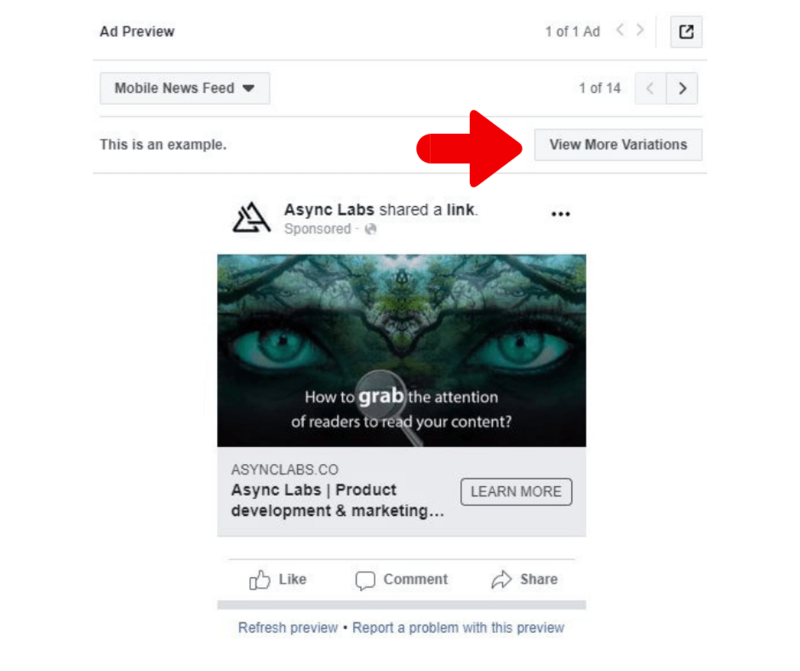 Two of three photos in our example have been rated as OK, but stay with us till the end of the article and check the results of performing ads and get familiar with a Facebook algorithm of showing ads. The main question in your mind should be next: Which version of the image would perform the best in the campaign? As I am a designer in my soul, I would bet that the third image would perform the best but through this article you will find out that I am completely wrong. We all have some budget for advertising, and in the end you have to get some results like conversions or emails, etc. In other words, your costs need to have results. As I said, we created three variants of an image and simply tested them with Facebook Dynamic Creative. Here is a total guide to what we have done and in the end we will show you results. Supported objectives in which you can currently use Facebook Dynamic Creative are: brand awareness, reach, traffic, app installs, video views, lead generation and conversions. Advice: Double check if the objective from your campaign is one of the listed above (brand awareness, reach, traffic etc), otherwise you won’t be able to start working with Dynamic Creative. If your budget is limited (as in most cases) we suggest you test a smaller number of combinations so you don’t get lost. Let’s start with the setting up Dynamic Creative in your campaign. In the Facebook Ads Manager select the campaign in which you want to work. After you put a ✓ here, click on tab Ad Sets and on the green button Create. On your screen should appear the display shown below and here you will choose ON to Dynamic Creative. 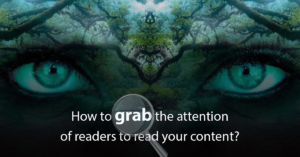 I won’t get into details on how to target your audience, but regarding Placements of your ad I recommend you to click on Edit Placements and personally choose where do you want to show your ad. You can check the list of supported placements in Dynamic Creative on the link. In our case, we show an ad in Facebook Feeds and in the Right Column. After setting up the budget and scheduling the rest of “details” of Ad Set, you are ready to move further so click on the Continue and now you should be in the Ad. 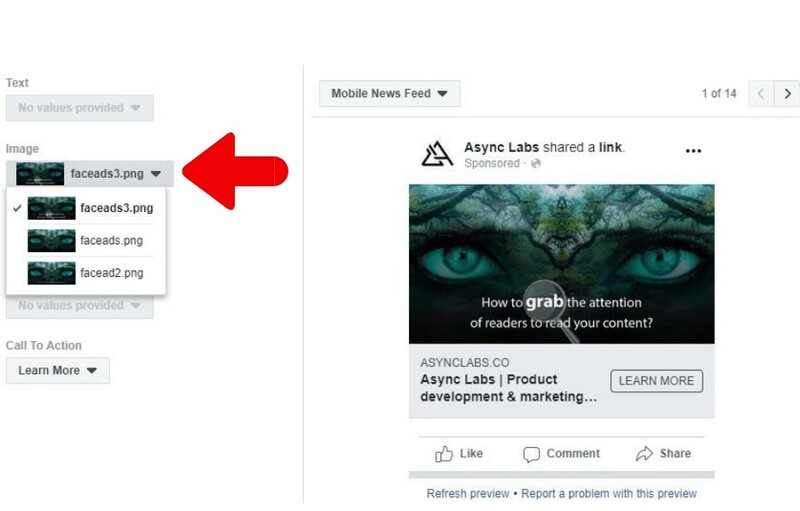 If you are running more than one Facebook Page, before you start make sure you are creating an ad for the right page or choose it by clicking on it in the drop-down menu. Choose Single Image and below you will upload variants of images which you want to test. Here we added our three photos. Also, below this you can write your text (up to five options), add a link, then headline (up to five options) which you want to test, choose call to action, etc. You can add only one link for all combinations of your ad. I recommend you to set up Facebook Pixel here, as all results will then be measured in pixel. Now it is time to preview all variants of the ad. Scroll down and in the right corner click View More Variations. Then click on drop-down menu and check all possible combinations of the ad. 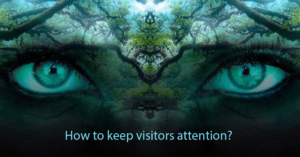 In our case, we can preview ad with three different images, but copy, headline and call to action are the same. How to measure the result? After you set up your ad using dynamic creative, you need to know which ad variant is performing the best. To check the results you need to be in Ads Manager, select the campaign with ✓ and then select the Ad set again with ✓ in front of it. In the right corner you have Breakdown drop-down menu where you click on By Dynamic Creative Asset, and then decide by which metrics you want to filter data. We click on the image as we had three variants of an image. 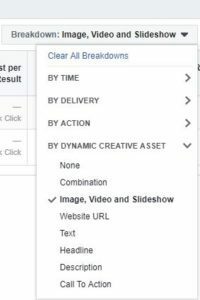 As Facebook Dynamic Creative Ads are relatively new on the market, it could happen that you sometimes don’t have this option in Breakdown. In that case, try to close Ad Manager and start it up again (believe it or not this worked in our case). All things considered, we can see that as you make the text in your images longer, Facebook will make your life harder. Even though there has been an update of 20% text rule, ads with long text on an image are not performing well. Our image that has more than 20% of it covered with text is faceads3, and it is performing the worst of all three tested images. Reach (2,299), impression (5,296) and clicks are bad, but you can see that the cost is the lowest. The average cost to reach 1,000 people is $0.12. The image with no text at all is named faceads and it is on some average, we have reached 4,672 people and impression is on 22,455. The average cost to reach 1,000 people is $0.24 and we have some clicks on this image. I was saving the best for the end. The image with one sentence of text is named facead2 and the results are amazing. We have an impression of 102,017 and reach of 9,371 people, though clicks are not promising. In comparison to the results of the other two photos, you see that this is our bingo combination. The average cost to reach 1,000 people is $0.65 and cost per result is the most expensive, but no matter the cost this is our winning choice. Just take a look one more time at the result from this image, and keep in mind that all images had the same precondition, but only this one had great achievement. Test it. Yes, you need time to test and find the best option, but as you can see Facebook will try to show you the solution which should work for your business. 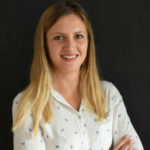 In our example you can see that the performance of the image with little text is having a significant impression and reach. We also need to work on CTR as results are not perfect, but this is what we have for now. Did you try working with Facebook Dynamic Creative? Leave me a reply and let me know your thoughts and problems in this area!